More than at any other time in recent history, governments, businesses and individuals are examining the ethics of how companies work. They are voicing concern over how personal data is being handled and protected, the impact of automation and AI on jobs, and diversity and inclusive practices. In other words, the world is very much in need of organizations that act responsibly and ethically. For more than a century at IBM we have sought to earn and keep the trust of our clients, partners, employees, and people in the many thousands of communities where we live and work. Our thoughtful, comprehensive, and holistic approach considers the impact of IBM’s products and operations on the environment, the sustainability of our global supply chain, and the governance, ethics, and integrity of our company. This earned trust is why 95 percent of Fortune 500 companies rely on IBM to handle their data. Indeed, there is an increasing need for corporate responsibility around data and for trust and transparency in the technology industry – especially in the age of artificial intelligence (AI). 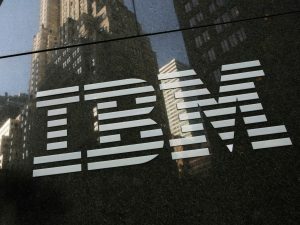 According to a new study by IBM’s Institute for Business Value, 82 percent of all enterprises and 93 percent of high-performing enterprises are now considering or moving ahead with AI adoption, attracted by the technology’s ability to drive revenues, improve customer service, lower costs, and manage risk. However, despite the huge benefits of this technology, the same study found that 60 percent of those same companies fear liability issues, and 63 percent say they lack the skills to leverage AI’s full potential. Many policy makers and researchers are also wrestling to answer the main questions around the ethics and retraining needed in AI’s adoption. Stay connected by joining our Talent Network! As new technologies reshape how our world works, IBM will continue to define new ways of supporting talent and preparing more students and workers for well-paying and purpose-driven careers. This requires moving beyond the boundaries of dated education and hiring models and defining innovative public-private partnerships. That’s the driving idea of the Pathways in Technology Early College High School—or P-TECH—model. P-TECH combines the best of high school, community college, professional mentoring, and hands-on career learning to better prepare students for success and personal satisfaction in college or new collar careers. IBM’s initiatives to prepare workers for new skills and roles so they can excel in the age of AI is not all we’ve done to earn our reputation as a responsible stewards of data. We have turned our decades of experience into a formal set of guidelines called the IBM’s Principles of Trust and Transparency, which includes guiding principles about AI design, development, and usage. These principles are a guidebook for how companies can design and deploy new technologies in a way that advances the march of societal progress and wellbeing. IBM believes that the real value in AI lies in its ability to augment — not replace — human expertise, skills, and cognitive abilities, which is why we are investing in the above mentioned training program, and we advocate for new approaches to skills education. We are also committed to the protection of our clients’ data: both data and the insights derived from that data always belong to the individual client that generated it. We also think that new technologies, including AI, must be transparent and explainable: technology companies must be clear about who trains their AI systems, what data was used in that training and, most importantly, what went into the algorithm’s recommendations. IBM also believes that while bias can never be fully eliminated, and our work to eliminate it will never be fully complete, we and all companies advancing AI have an obligation to address it proactively. This is not a new endeavor for IBM. From our company’s start, IBM has adopted policies that promote inclusion and treat people with dignity and respect. That legacy continues today — from our commitment to genetics privacy and LGBTQ equality for our employees to advocating for public policies that reflect our values. IBM’s Principles of Trust and Transparency are just a reflection of a new era of our ethics–one where technology increasingly influences every aspect of society, from how government services are delivered, to how we shop and entertain ourselves, to how our children learn, and also to how physicians treat patients. This is why in the connected world of the 21st century, ethical behavior and good corporate citizenship are both the right thing to do and the best business approach. The most successful corporations always focus on values and purpose to drive their long-term thinking and make the world a better place for all of its stakeholders. This has been IBM’s approach for more than a century and it is how we will continue to think and operate as new technologies arise and shape our life and our society. This article first appeared on the IBM Watson blog. Interested in working at an ethical workplace? Sign up for IBM’s Talent Network. We’ll keep you up to date regarding upcoming events and career opportunities that match your interests.